The PLANOMAT HP of BLOHM Industry are profile grinding machines that's been fitted with a powerful drive tool, digitized ball-type drives for speeds and accelerations improving overall productivity, lifetime-lubricated spindles that contributes to the machine's cost efficiency, and highly durable linear guide-ways, all encased in a robust, modular housing. Comes in 6 different working ranges to suit the specific requirements of certain applications, ranging from 400 mm x 800 mm to 600 mm x 2000 mm. It can also be further optimized by the integration of two advanced controls for the easy operation of this machine, EasyProfile control unit and Siemens platform with touch screen. 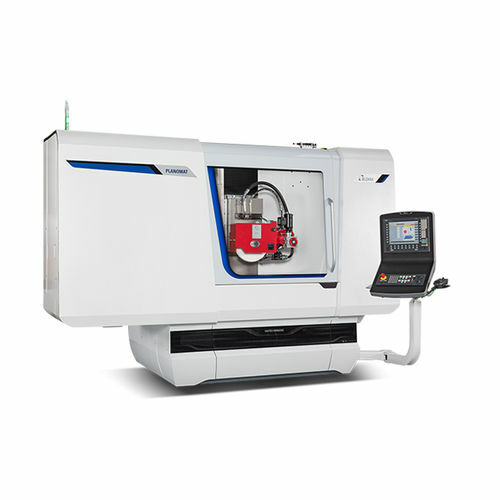 For a more complex applications, Sinumerik 840D CNC control unit can also be incorporated.